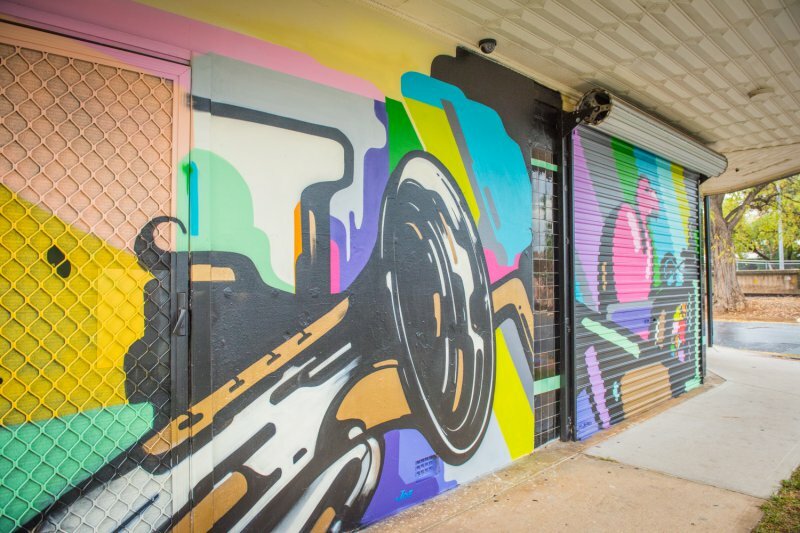 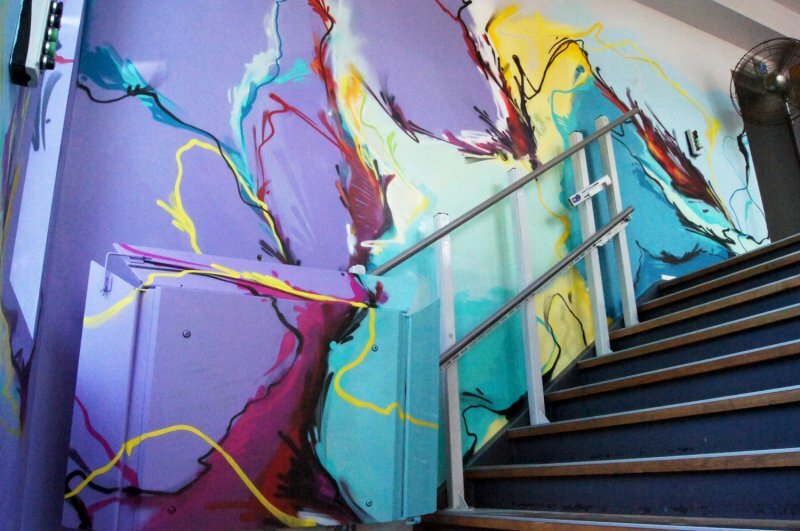 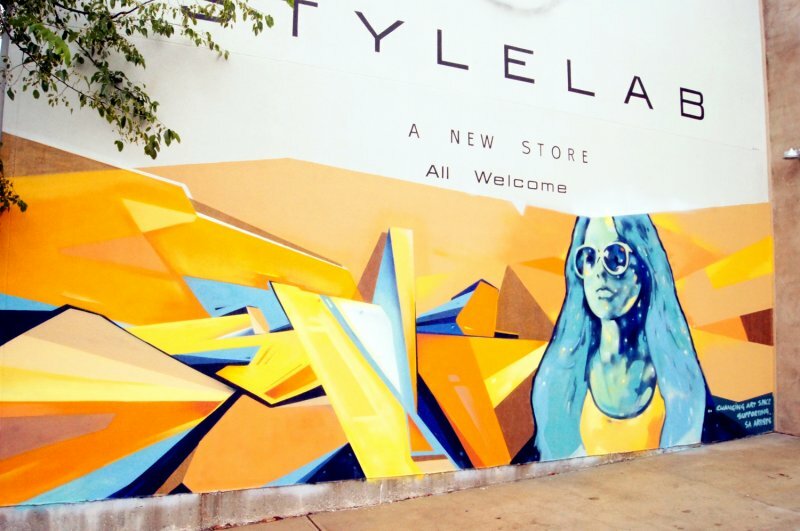 New mural and installation by artists, Tarns, Tayla Carlaw and Monica Prichard. 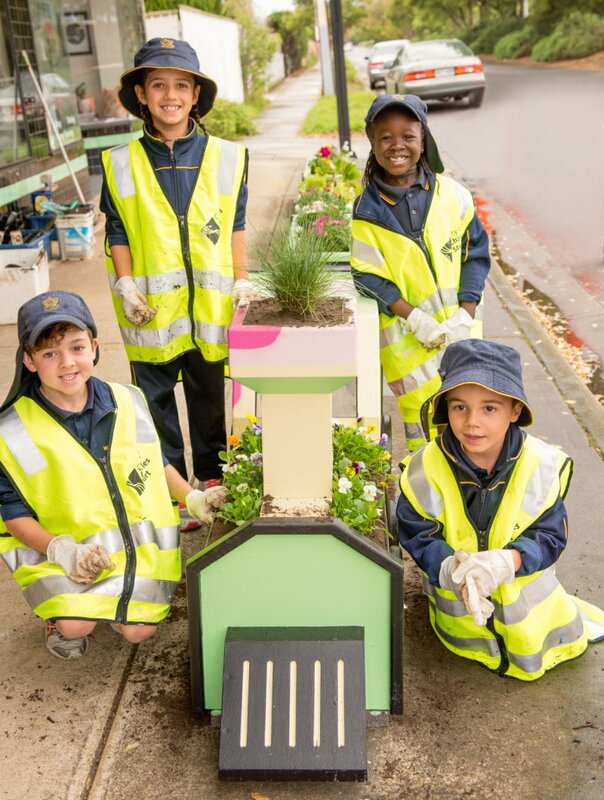 Thanks to the Place Making funding opportunity provided by The City of Charles Sturt, we have been fortunate enough to be involved in this very cool community project. 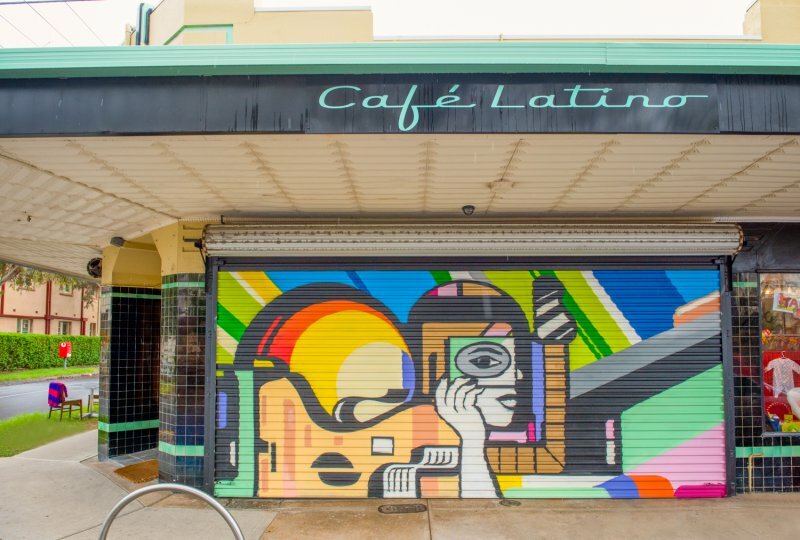 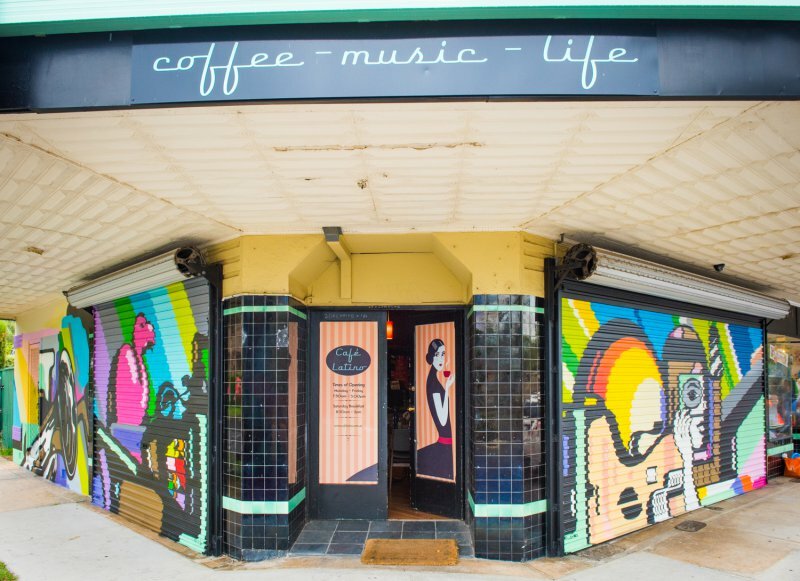 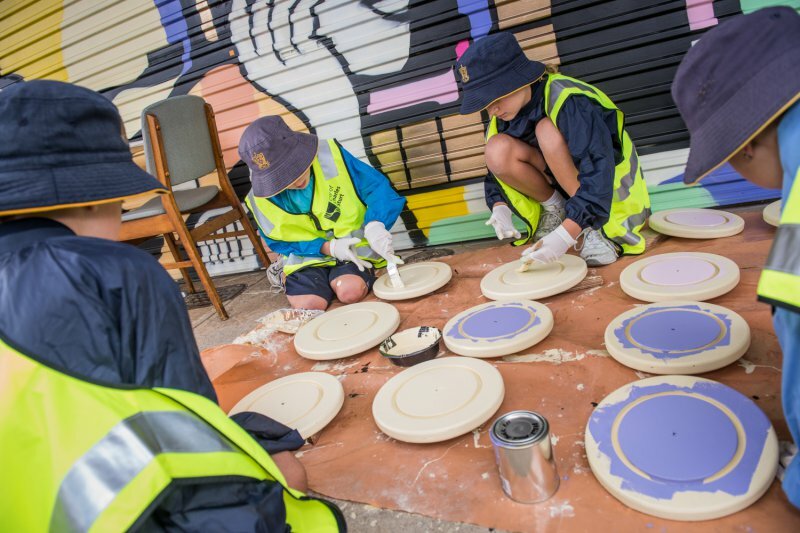 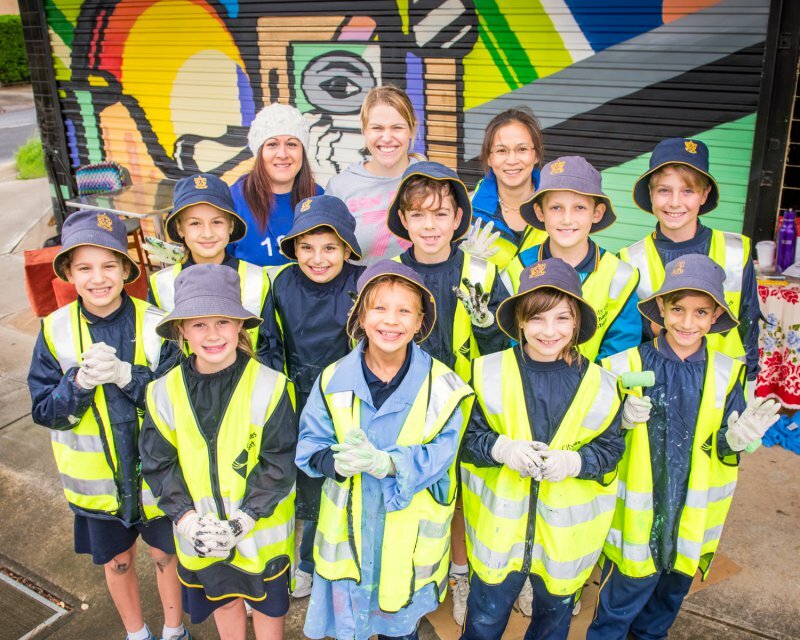 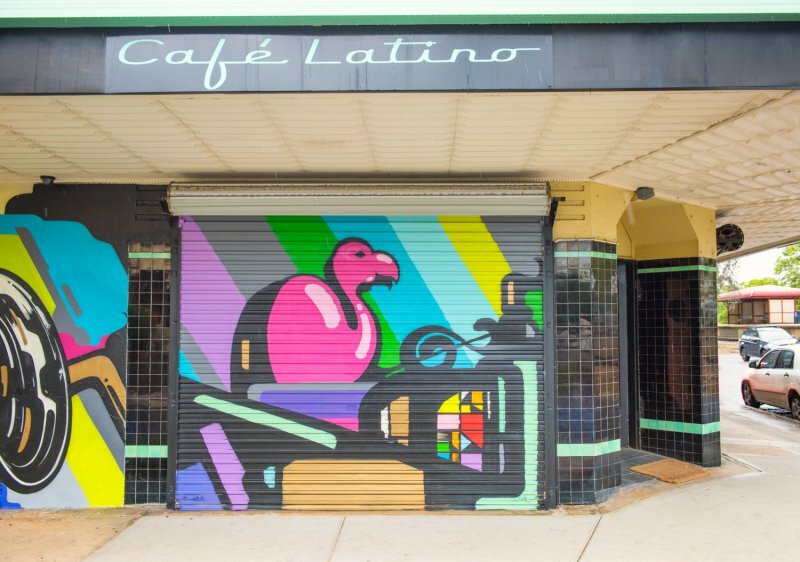 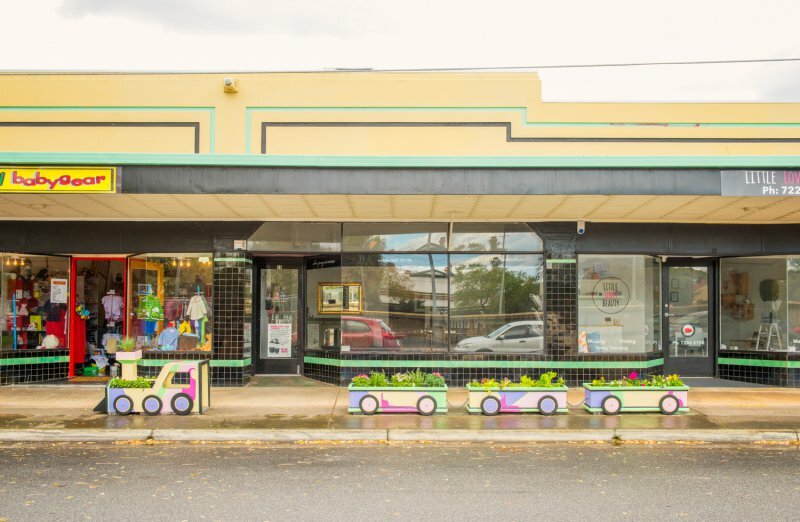 Local school kids also got involved and helped paint the fantastic train installation created by Monica Prichard, while Tarns and Tayla Carlaw completed the Art Deco inspired mural on the front of the cafe. 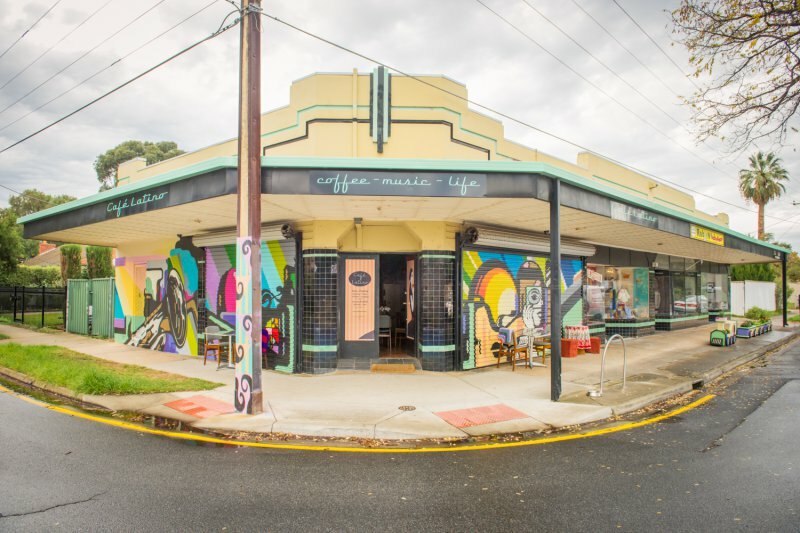 In house artist - Tarns, was recently commissioned by The Loose Caboose Cafe in Bowden to create this unique abstract aerosol and acrylic art work. 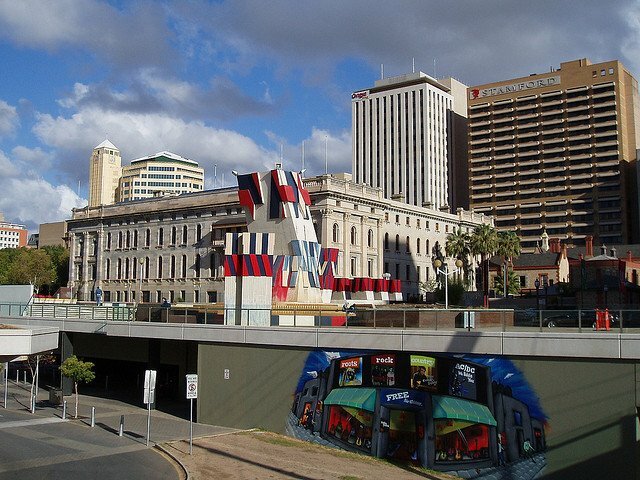 This piece was commissioned by the Adelaide Festival Centre for their International Guitar Festival back in 2008. 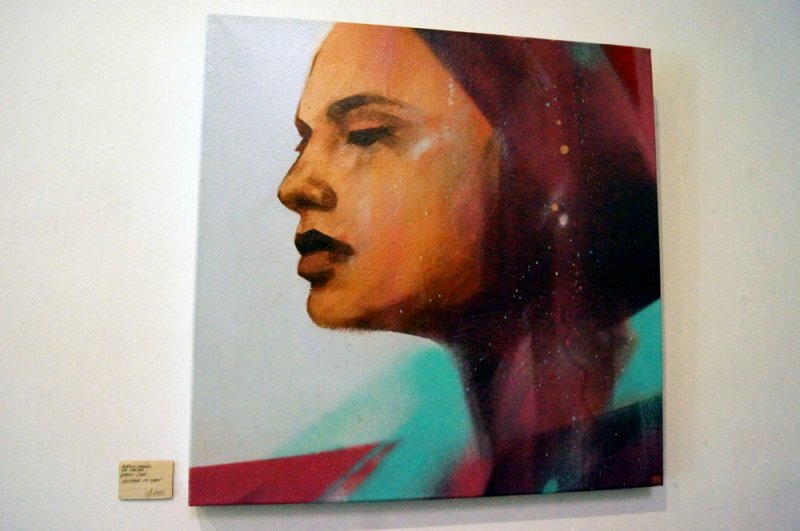 By Adelaide's Nasty Artists - Tarns, Jumble and Orbs. 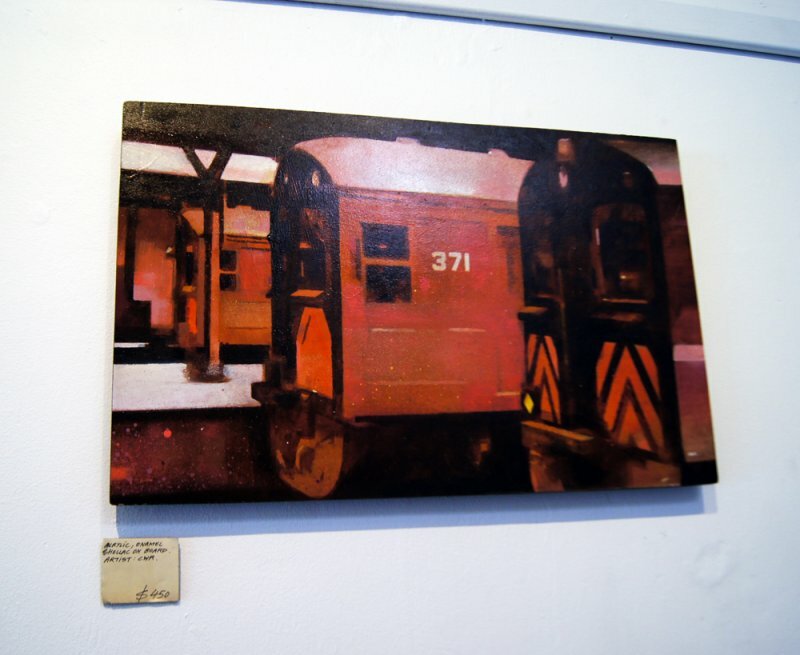 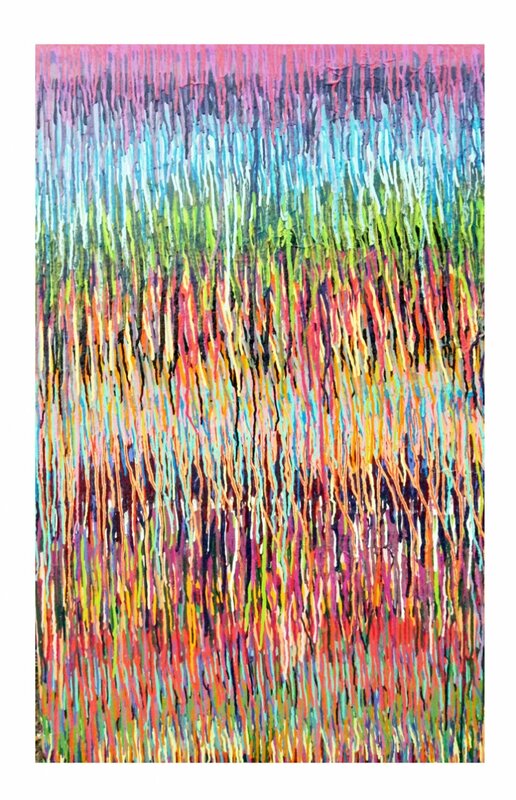 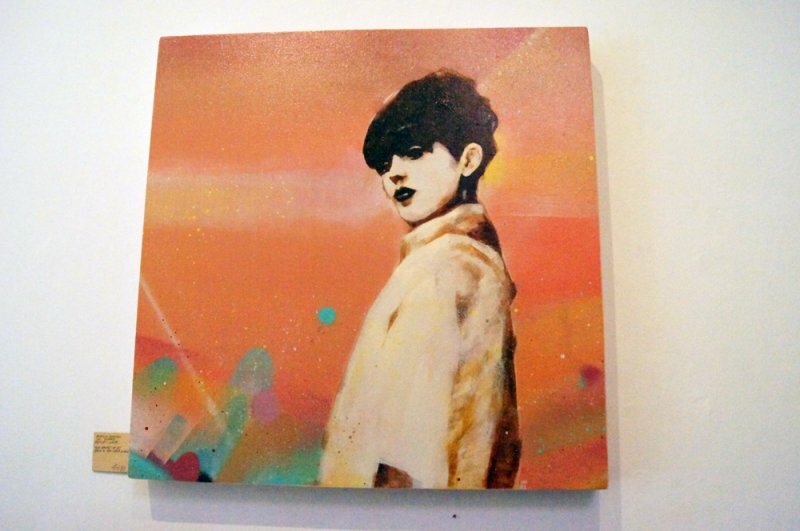 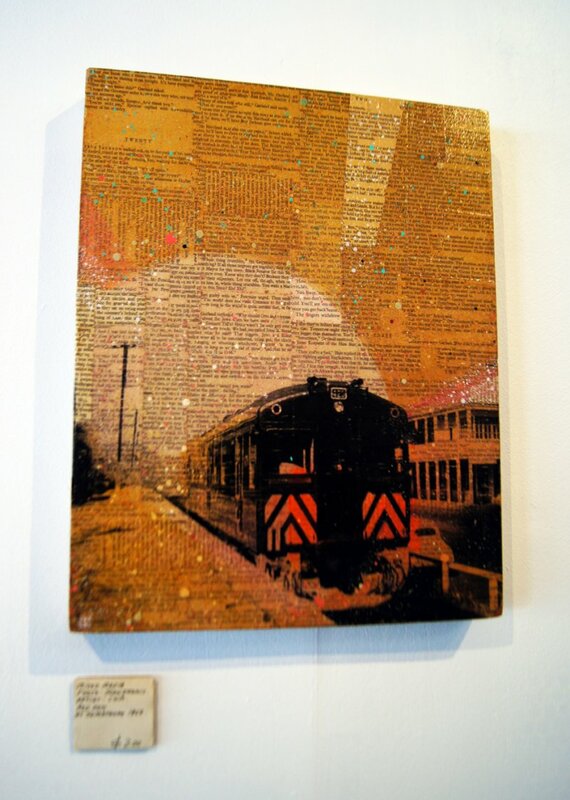 Check out more work by Tarns in the online gallery.. 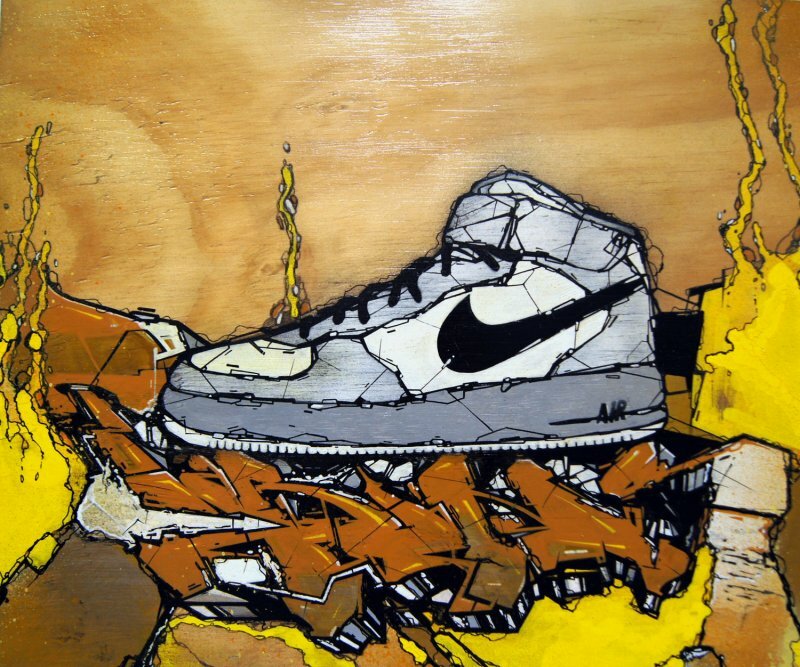 Contact us if you need some artwork for your business or event.. 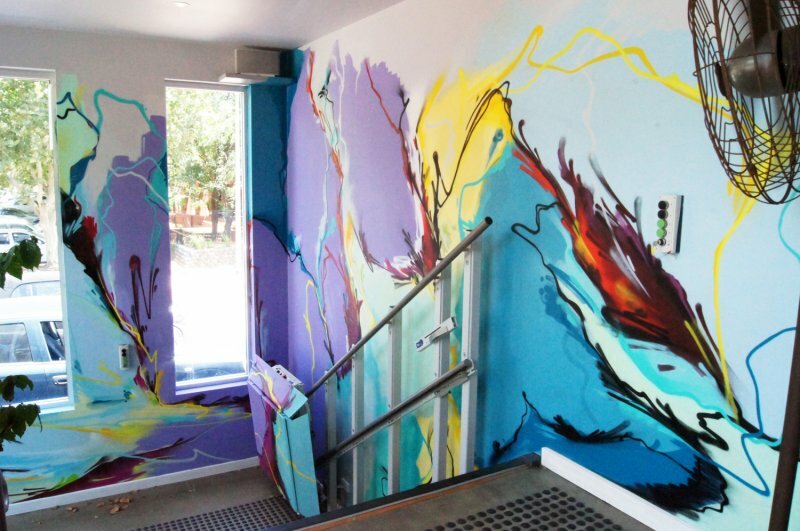 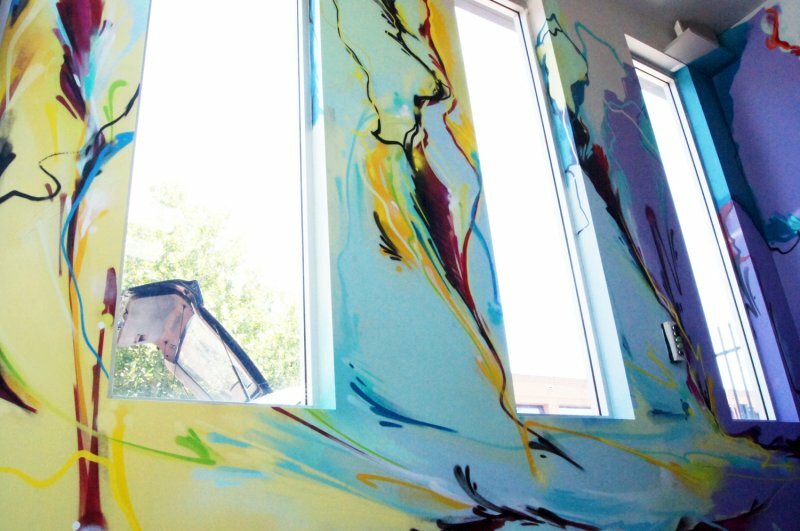 Cold Krush artist's Tarns and CWR were recently commissioned to add some colour to the Stylelab Showroom in Norwood for the opening exhibition of Adelaide Artist, Anette Bezor.